Thank you, each and every one of you, for your support! It's hard to believe that This Is American Rugby is just a few months away from turning seven years old. Little did we know that in that time we'd have nearly 10,000 posts and millions of views. It's all thanks to you and we couldn't be more grateful! Now we are asking you for support. This pledge drive is not do or die. TIAR will continue whether or not we hit our goal. However, as we look to the future--Major League Rugby, the 7s World Cup, the 15s World Cup, the Olympics, and hopefully one day a World Cup in the United States--we are looking to bring a better experience to you. We've heard your feedback and we want to deliver. That means more voices, more analysis, and more engagement. All of that takes resources. If you have liked what you have read on TIAR please consider making a donation. Way back in our very first post we said that our goal was "to bring you updates from Eagles playing overseas, the 7s team, and all national team matches." I can proudly say that we have delivered. Few other outlets, if any, have attended as many Eagles matches over the last seven years than we have. Few others have shown the dedication to covering the 7s Eagles, and certainly no one has brought you segments like Eagles Abroad. We even more proud to say that we have grown beyond that to cover all facets of the game. Still, we can grow an a donation, either one-time or recurring, will help TIAR keep going for another seven years. Click on the Donate button on the right hand side of the page! We realize that this pledge drive could sound just like any number of other pledge drives. There is no skirting around that. However, we like to compare what we do to NPR. Solid news coverage without the fluff. It's also free and open to the public. Fans that have been around long enough remember when they had to go behind a paywall just to read about the Eagles. We're proud to say that our hard work tore that wall down and now the fans have more access to the Eagles than ever. In doing so, it also meant that we have come to rely on you. We are grateful for our partners. Canterbury in particular has been a fantastic partner over the years. 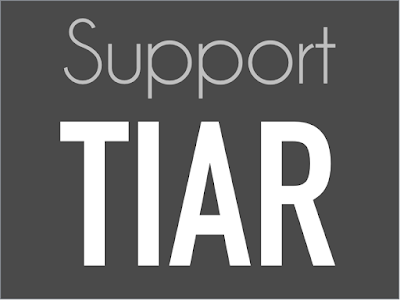 TIAR would not exist without them and we encourage you to support them. At the same time rugby is still a niche sport and without direct support from the fans there is no guarantee it will continue into the future. That's why we need you. Off on the right hand side of the page there is donation button. You can also donate through this link. We've set a goal of reaching $5,000 in one-time donations and $500 in monthly recurring donations before the Vegas 7s. If we hit our goal before then we'll be finished. To incentivize you we have some rewards! Any recurring donor that gives at least $10 a month will receive a TIAR scarf! Any recurring donor that gives at least $25 a month will receive the TIAR scarf and their choice of a Grubber shirt (depending on stock), and a copy of When I Was Great or The Hooligan's Table Cookbook. Any recurring donor that gives at least $50 a month or more will receive the TIAR scarf, their choice of a Grubber shirt (depending on stock), a copy of When I Was Great or The Hooligan's Table Cookbook, two tickets to see the MLR side of their choice, and will be entered into a drawing to win two three-day general admission tickets to the Rugby World Cup 7s in San Francisco! Any one-time donor that gives at least $25 will receive a TIAR scarf! Any one-time donor that gives at least $50 will receive the TIAR scarf and their choice of a Grubber shirt (depending on stock). Any one-time donor that gives at least $100 will receive the TIAR scarf, their choice of a Grubber shirt (depending on stock), a copy of When I Was Great or The Hooligan's Table Cookbook, and will be entered into a drawing to win two three-day general admission ticket to the Rugby World Cup 7s in San Francisco! Any one-time donor that gives at least $250 will receive the TIAR scarf, their choice of a Grubber shirt (depending on stock), a copy of When I Was Great or The Hooligan's Table Cookbook, two tickets to see the MLR side of their choice, and will be entered into a drawing to win two three-day general admission ticket to the Rugby World Cup 7s in San Francisco! If there are any questions, please feel free to contact us at thisisamericanrugby@gmail.com. I'm having trouble finding any "donate" button that works?